Humans evolved by sharing technology and culture. Our early ancestors, Homo sapiens, managed to evolve and journey across the earth by exchanging and improving their technology. How did they contact each other? How would contact across groups affect one group? The need for information sharing already began thousands of years ago with drawings on cave walls — a pre-historic Instagram! The 4th industrial revolution is unfolding before our very eyes! This is the first industrial revolution rooted in a new technological phenomenon — digitalization — rather than in the emergence of a new type of energy. Digitalization enables us to build a new virtual world from which we can steer the physical world. The 4th revolution builds upon the 3rd revolution and the digital revolution that has been taking place since the last century. For example, the World Wide Web (www) was invented in 1990 while Google was launched in 1998. This revolution is characterised with exponential expansion by merging existing and new technologies that blur the lines between the physical, digital and biological scopes to completely uproot industries all over the world. The extent and depth of these changes will transform entire production, management and governance systems going forward! One of the most important technological advancements in recent history is blockchain technology. Blockchain technology is an excellent example of financial technology (fintech), a new and exciting industry that uses technology to improve the quality of financial services and make it more accessible to all. The digital asset class has boomed into a $100 billion market. Investors experienced enormous returns in 2017. Today’s buzzwords in the financial digital world are undoubtedly “fintech, blockchain technology and security tokens”. Security tokens are investments just like traditional stocks or bonds — except they are better! They are designed for today’s digital and automated world. Imagine if your stocks were a lot smarter, they would have known when it was time for you to receive dividends or what your liquidation preference is, and many more. Yes, the token just knows! A security token can be linked to virtually any type of investment, such as stocks or commodities. This move by financial institutions to fintech, blockchain technology and security tokens is informed by the realization that this is the future, and they simply cannot miss out! Yes, the 4th Industrial Revolution has commenced and mankind has come a long way. Digitalization and new technologies are now key. Blockchain technology in its own right also evolved. Blockchain experts now say: “Forget Initial Coin Offerings (ICOs), Security Token Offerings (STOs) are the future!” A pioneer in this space estimated that STOs could grow to $10 trillion in just two years! STOs will revolutionise investing as we know it and re-energise the cryptocurrency markets in the process. The 80 trillion USD securities market remains untouched in the blockchain space… Private placements alone raise 3 Trillion USD per annum! Just imagine if you could do it with less friction and less middlemen? 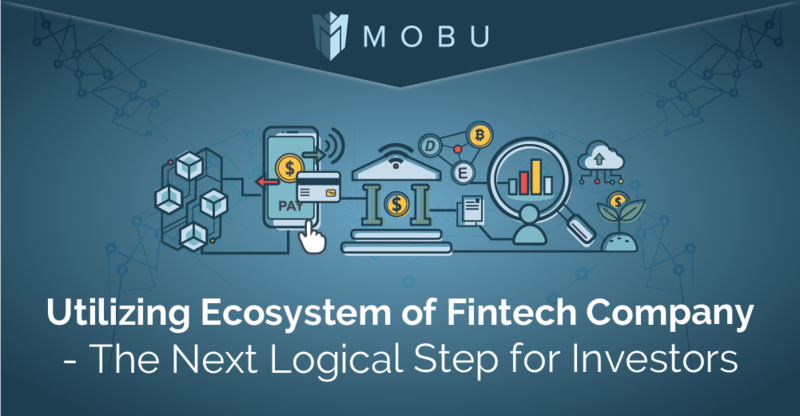 MOBU is a decentralised platform and end-to-end solution for ICOs to launch compliant security tokens on the blockchain.